After graduating from the University of Huddersfield and completing her BA Hons in Early Years, Leigh pursued her career in teaching, specialising in Early Years and completing her Early Years Teachers Status qualification. Leigh joined Silcoates in September 2016, working in Pre-School. After successfully completing her teaching qualification at Leeds Trinity University, she took over the management of the Pre-School in September 2017. Leigh has been involved in several activities at Silcoates, including swimming with the Pre-School, Reception and KS1 children and looking after the children in late after care. 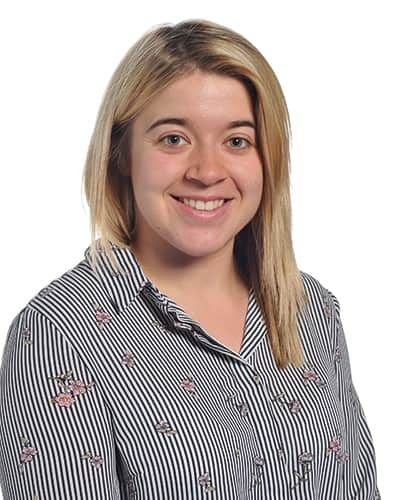 Leigh has a keen interest in developing Early Years provision and providing activities for children that facilitate rich and stimulating opportunities effectively to encourage and support children’s learning and developmental progress. Leigh hopes to complete a MA in Early Childhood Studies in the future, developing her pedagogy, curriculum knowledge and perspectives in teaching and learning. What makes Silcoates Pre-School special? The child-centred approach here at Silcoates Pre-School ensures every child who attends is the focus of our undivided attention. Pupils are welcomed into the Pre-School at the start of the term in which they turn three years old. Within the warm and nurturing environment, every child is treated as a unique and special individual. We support and encourage the children to feel confident, happy, safe and secure, whilst exploring and finding that everything is possible. Children are offered an outstanding level of care to ensure that they truly have the best start in life. We find real joy in helping them to make exciting discoveries and to unlock their unique skills and talents. The learning experiences that the children encounter are varied, challenging and, above all, fun, whilst providing them with the opportunities to develop essential life skills such as resilience, cooperation and independent thinking. The children in the Pre-School are very much a big part of school life, attending school assemblies, taking part in sports days, concerts and plays, as well as other school events. Staff in the Pre-School work closely with the Reception class, ensuring a smooth transition as they progress through the school. The Pre-School and Reception children will often share the same half termly, theme and join together regularly to explore and share knowledge.